Conde Nast Traveler’s readers have rated eight Bahamas Wedding Resorts among the top 20 resorts in The Bahamas, Bermuda, and Turks and Caicos. The Readers’ Choice Awards 2017 were recently announced by Conde Nast Traveler. The resorts are located on Out Islands Andros Island, Eleuthera, Harbour Island and Paradise Island. These properties range in size from boutique to large size resorts. Kamalame was ranked #1 with a score of 98.15. This property sits in an oasis of outstanding natural beauty. It wraps ocean adventure and island romance in the luxury of a private island experience. 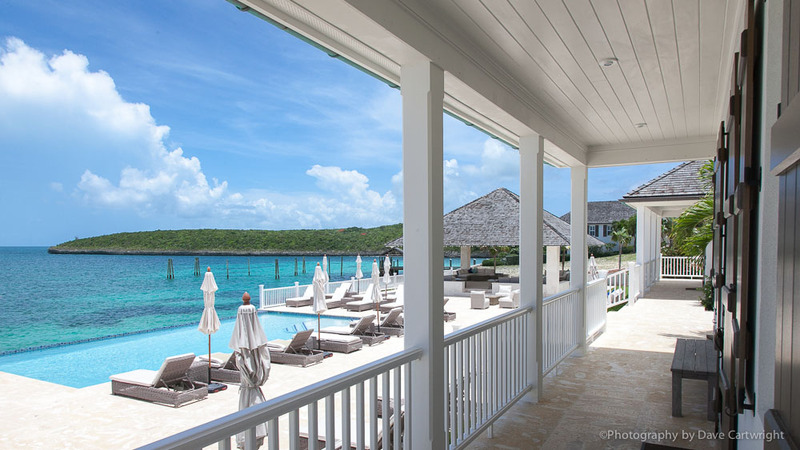 With an all-island buyout, Kamalame Cay accommodates wedding groups up to 80 people indoors or outdoors. French Leave Resort ranked #2 with a score of 96.02. The resort boasts oceanfront and ocean view villas. Its wide sweeping panorama of Governor’s Habour bay is bliss. Grab this gem for your intimate wedding for up to 30 guests. Venues range from the wide, expansive deck poolside to French Leave Beach and the Garden Pavillion. Receptions can also take place indoors in the dining room. Photo by Jessica Bordner Photography. Ranked #3 with a score of 95.6, luxury, chic hotel The Cove Eleuthera sits oceanfront amidst swaying palm trees and ocean on the north and south sides. This top Bahamas wedding resort is also available for a complete buyout. By having a buyout, couples are afforded a mix of locations indoors and outdoors. 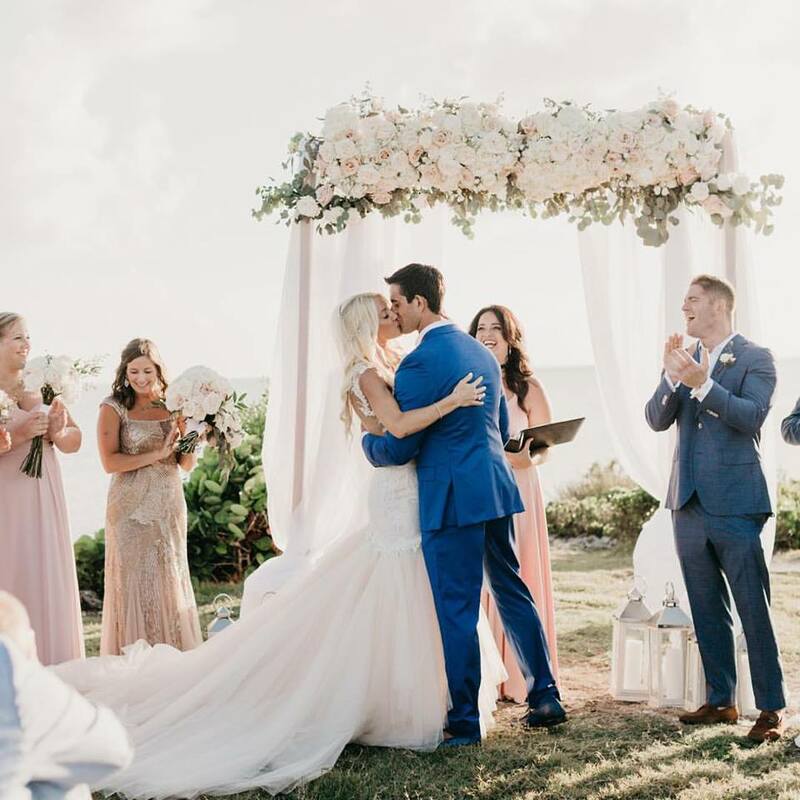 Venues include the stunning Pointe for a wedding ceremony, the Pointe Bar for a cocktail hour following, dinner in Freedom Restaurant and dancing outdoors on the pool deck. Oceanside and the Palm Garden are not to be forgotten as possible venues, too. Service and cuisine are at their finest. Furthermore, menus are customized and no two are alike. The Cove hosts weddings groups up to 150 people. Ranking #5 with a score of 95.12 was the One & Only Ocean Club. Soon to be a Four Seasons property, up to 100 persons may be hosted her for a destination wedding here. The oceanfront resort offers incredible garden and pool terrace settings for both destination wedding ceremonies and receptions. Gorgeous tents create a romantic ambience in these lush, picturesque gardens. Coupled with its luxury accommodations, superb service and cuisine, this is a winner for any bride and groom. 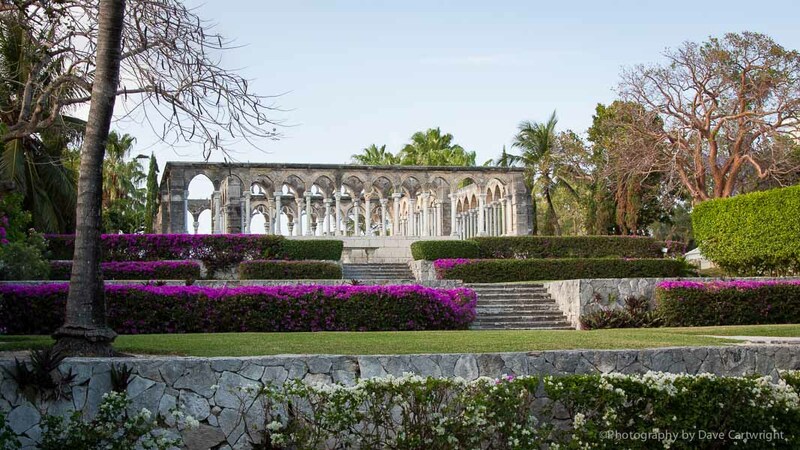 These top Bahamas wedding resorts all offer spectacular settings for your special day. The Atlantis properties all accommodate large wedding groups of any size. These settings range from stunning beachfront locales to chic, luxurious ballrooms, restaurants and waterfall gardens for your destination wedding in the Bahamas. Groups of 100 to two can be hosted outdoors on The Other Side. Chic Bahamas Weddings would be delighted to help you plan your special event at one of our top Bahamas wedding resorts. Your luxury wedding is planned to perfection. Contact us today to start planning your event.